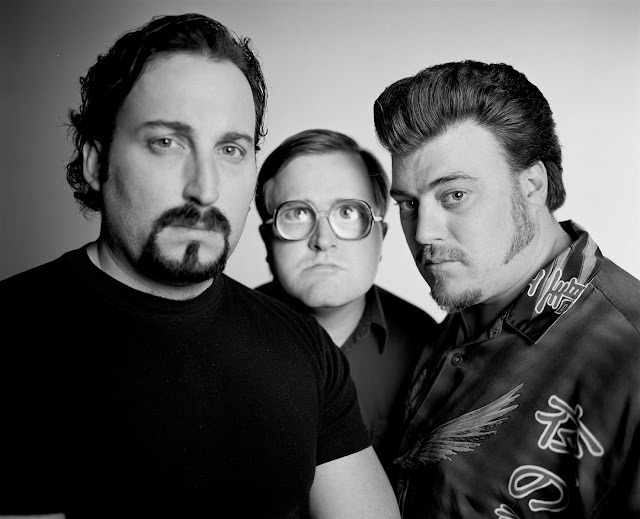 Whenever I try to explain to people how genius Trailer Park Boys is, I end up sounding somewhat stupid. 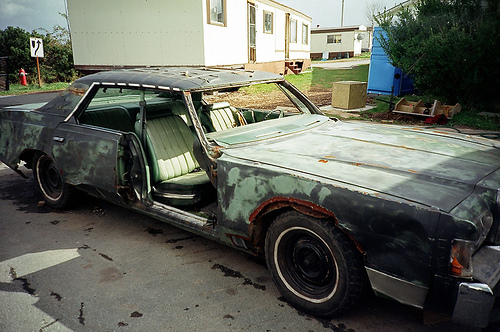 Think about how this television series would be described: a couple of Canadian trailer trash, with the help of their oddball neighbors, constantly try to score one last job so they can finally retire. Of course, their schemes almost always involve drugs, booze, or theft and almost always land them in jail. In fact, it's become a running joke of the series that at the end of every season you can expect that they get arrested (almost every season, that is). But the genius is less about the context of the show and more about the delivery. 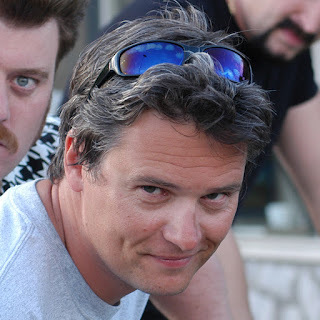 Robb Wells (Ricky), for example, has mastered the art of dumb. You can actually see his character's lack of brain power as he struggles to make words come out of his mouth. It's a very limited vocabulary for Ricky that includes one major component: swearing. He also has a habit of using incorrect versions of famous sayings. For Ricky, it's not "I told you so"; instead, it's "atodaso". It's not "Indiana Jones," it's "Indianapolis Jones". And it's not that he's totally dim-witted. He just doesn't know how to process things outside of his childlike brain. Of course, it doesn't help that he's nearly always doped up. But to play a character that believably dumb, you're either a great actor or truly that dumb. Having seen Wells being interview in his own voice proves it's the former. Mike Smith, especially, adds to that proof. For several seasons, I thought Bubbles was somewhat real, but as it turns out, Mike Smith is nothing like Bubbles. As I said: genius. The show is also delivered to viewers as a low-fi mockumentary. It's brought up immediately in the first episode that Julian (played by John Paul Tremblay) is being filmed by a documentary crew to follow the day-in-the-life of a man, fresh out of jail, with a new profound vision that he wants to become a legitimate member of a civilized community. Things don't really work out. The low-fi video quality adds to the show's charm and logically makes sense. Who else but a low budget film crew with old technology would want to document trailer trash? Not that I'm insulting the trailer park community, but neither is the show. They're simply using stereotypical characters in a stereotypical setting. Fortunately, however, they've added heart to these people. Trailer Park Boys was created by Mike Clattenburg (Director) utilizing the skills of his actor friends Robb Wells and John Paul Tremblay. In 1998, Clattenburg wrote and directed a short film titled One Last Shot, which followed the exploits, in documentary style, of Ricky and Julian (Wells and Tremblay, respectively). After which, Clattenburg directed a feature film entitled Trailer Park Boys in 1999. The film caught the attention of Producer Barrie Dunn who suggested the idea of a television series based on the characters. Clattenburg and Dunn, along with Wells and Tremblay, pitched the idea to Showcase and were rewarded with a 6-episode season. Its success led to more seasons and the development of more characters. The team adjusted some elements from the film to better fit a television series. One of which was the inclusion of Bubbles, played by Mike Smith. Bubbles is, surprisingly, one of the wiser characters of the show. Despite his looks and high-pitched voice, Bubbles has a good heart and logical brain. He often gets upset with the ridiculous plans of his best mates Ricky and Julian, and is usually the voice of reason. 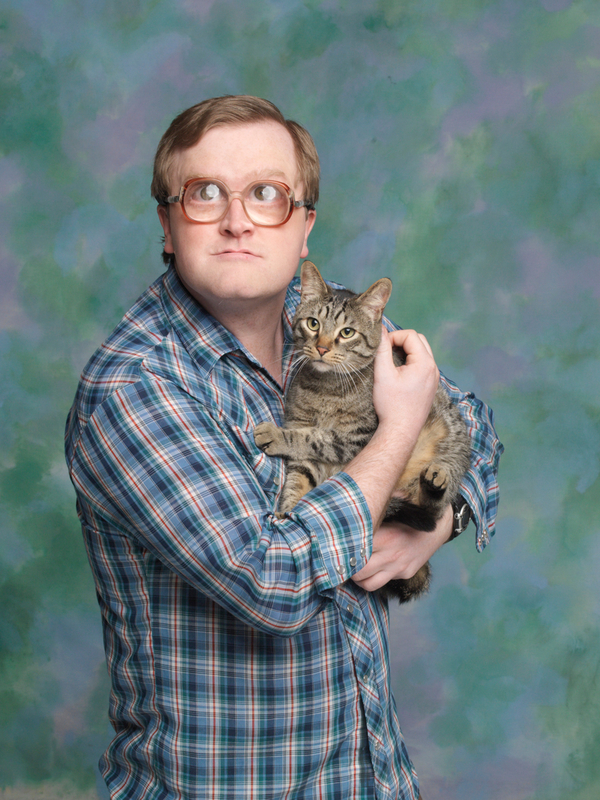 He also has a huge love for cats but that doesn't stop Bubbles from drinking and occasionally smoking pot. C'mon...it's called Trailer Park Boys. What do you expect? Oh, and he can fix a shopping cart like no one's business. The show's style can be described very simply as lowbrow humor for a highbrow audience. There's a surprisingly large amount of smart dialogue and intelligent references within each episode. It's typical of the show to combine witty (and sometimes witless) remarks and slapstick humor. It caters to a wide audience, not just dumb jokes. Of course some of their dumber recurring jokes are their strongest. The fact that Julian always has a drink in his hand is never mentioned but always intact. The show also walks a fine line of realism. There are moments when you have to wonder if the people within the "documentary" are showing off because they know they're being filmed. That awareness helps make the characters believable. It explains why so many of them have bad lines and inconsistent behavior - they're just saying and doing what they think is cool for the camera at that moment. Why else would every driving scene end with a car coming to a screeching halt? How would the cameramen know when and where to frame the camera that perfectly? It's as if Ricky had suggested it to the documentary crew off screen. As if he would say, "Hey, stand right there 'cause it would be cool if my car stopped right in front of your camera." The cast is a group of very strange but lovable characters. 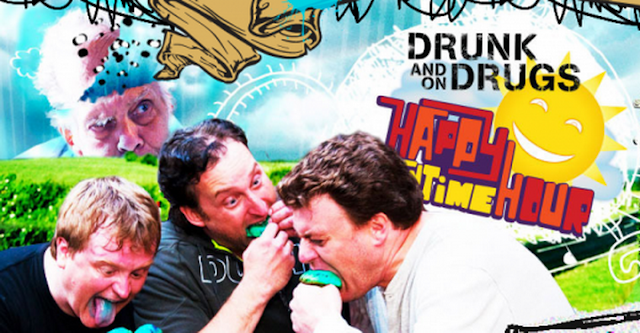 The main characters: John Paul Tremblay (as Julian), Robb Wells (as Ricky), Mike Smith (as Bubbles), John Dunsworth (as Jim Lahey), Patrick Roach (as Randy), Lucy Decoutere (as Lucy), Sarah Dunsworth (as Sarah), Jonathan Torrens (as J-Roc), Barrie Dunn (as Ray, a.k.a. Ricky's Dad), Jeanna Harrison (as Trinity), Tyrone Parsons (as T), Shelley Thompson (as Barb Lahey), Michael Jackson (as Trevor), and Cory Bowles (as Cory). They all have intertwining lives within the small universe of Sunnyvale Trailer Park. Sometimes you hate them, sometimes you like them, sometimes you laugh at them, sometimes you feel sorry for them. But in the end, you always want more. The show ran for a whopping seven seasons and produced two feature films. There's also a live show entitled The Ricky, Julian and Bubbles Community Service Variety Show. The premise is that they are fulfilling court ordered community service to demonstrate the dangers of alcohol and drugs; another genius idea. Mike Smith, John Paul Tremblay, and Robb Wells also created a new series entitled The Drunk and On Drugs Happy Funtime Hour which showcases the actors playing "themselves." They wake up in a drunken haze and soon realize that they've been drugged, and apparently during their hallucination they created a TV series. To make matters worse, everyone on the show has been drugged as well and actually believe they're the characters that they're playing. The show boasts several well-known actors including Amy Sedaris, Maury Chaykin, Jay Baruchel, and some familiar faces from Trailer Park Boys. Trailer Park Boys is a show all its own. It's definitely not something you'd expect with that title and definitely more clever than you'd imagine. Genius? Most certainly. If you don't think so after watching the first season, then count how many times you reference or quote the show in a month. 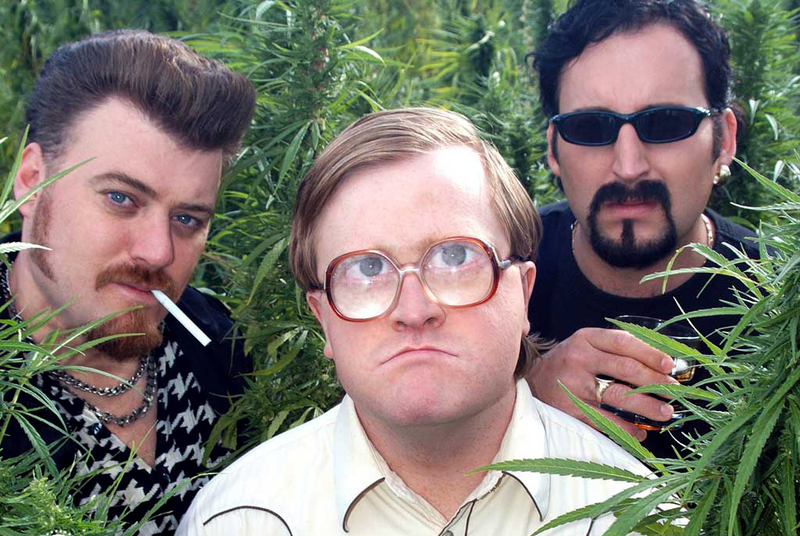 And for those of us who have sadly watched all that exists of this show, I'm happy to say that watching Trailer Park Boys a second time around is even better. TRIVIA: A tradition in the series is that Ricky will wear the same shirt for the entire season.